Twitter: You're doing it wrong! 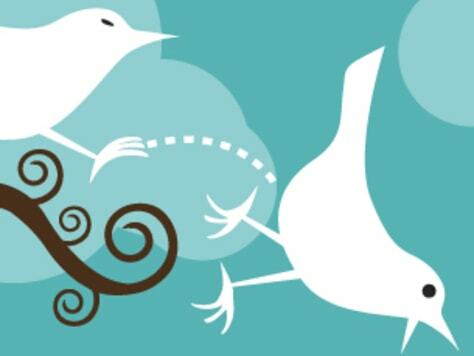 Explainer: Twitter: You're doing it wrong! Long gone are the novelty days of Twitter when filling 140 characters or less with random bits of inner monologue was perfectly acceptable. "Off to Chick-Fil-A to get mah chick’n fix" doesn’t make for a passable post anymore. Well, it shouldn’t, anyway. With Twitter hosting approximately 45,000 new tweets each minute, they can’t all be life savers, vital voices and world changers, but they can be small on words and big on substance. Or at least, you know, really funny. If a vague sense of Twittiquette has yet to guide the microblogging masses, maybe a few set-in-stone rules will. Eh, it's worth a shot anyway. While it remains technically impossible to take a life via a tweet (try as the "Avada Kadavra" killing-curse of the "Harry Potter" crowd might), Twitter's virtual body count is staggering. Miley Cyrus, Jeff Goldblum, Rick Astley, Tom Cruise and poor thrice-"killed" Bill Cosby are just a few of the high-profile victims. 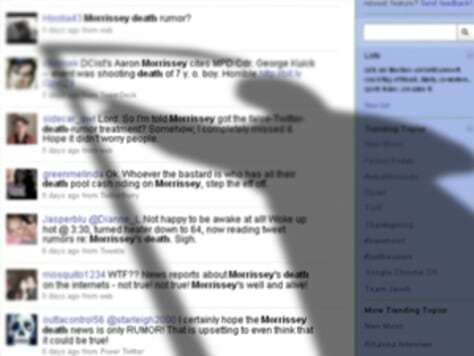 Thanks to a dedicated batch of hoaxsters, nary a celebrity is safe from the dreaded, "RIP, not-really-dead-star :( " update. From there it just takes a few thousand well-meaning retweets and "Is it true [not-really-dead-star] is totally dead?!" posts to finish the subject off. And that's where this trend could easily stop. Before relying on random-dude-you're-following for late-breaking celebrity death buzz, and then perpetuating the gruesome rumor yourself, do a Google search, visit a news site or just turn on the TV. Virtually any source would be more reliable than Twitter. The easiest way around the mundane Twitter trap is to employ self-control. Feel a "Going to the mall. W00t!" coming on? Just don't tweet it. Non-Twitter types tend to believe tweets are inane, play-by-play updates of each and every boring event a narcissist experiences. "Going to the bathroom, BRB," "I <3 doing yoga," "Mmm. Taco time," etc. One reason these outsiders believe that is simply because they haven't actually experienced the insightful, entertaining and oft-inspiring global community Twitter can be. Another reason they believe it is because it's true. So keep the "Sooooo bored" and "Going to the bathroom, again!" to yourself. There are some things that just don't belong on Twitter. "(5/5) You wanna enjoy movies again? 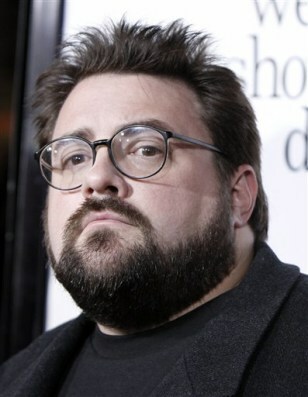 Stop reading about them & just go to the movies," filmmaker Kevin Smith suggested in what could have been a great tweet. "It's improved film/movie appreciation immensely for me." Why wasn’t it great? The "5/5" is short (ha!) for part 5 of 5. That gem served as a wrapup to a long, gabby round of not-microblogging. 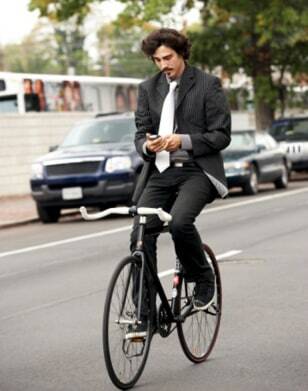 Before Twitter taught us the beauty of brevity, great big blog posts were the norm. Sure, there's still room on the Interwebs for those lengthy reviews or rambling rants, but thanks to Twitter's 140-character limit, users are challenged to crop comments into concise tidbits of short attention span-friendly intel. Or they just bypass the one limitation that defines the medium and write at length any old time. You want others to enjoy Twitter again? Stop macroblogging! She's baaaaaack! OK, maybe not quite yet, but it's possible if producer Nigel Lythgoe returns to "American Idol." "'Tell your heart that the fear of suffering is worse than the suffering itself," Paula Abdul recently began a double-offence, two-part tweet. "'And no heart has ever suffered when it goes in search of its dream.' --Paulo Coelho"
Remember those motivational posters, filled with apt quotes and encouragement, that were all the rage in the 1990s? They're frequently used as props for LOLcats now, because somewhere along the line, we all realized generic self-help blurbs are funnier than they are helpful. At least some of us realized that. For others, like everyone’s favorite former "American Idol" judge, it was the beginning of a love affair with anything that could fit in "The Enormous Book of Inspirational and Often Meaningless Notable Quotables." Loads of those folks use Twitter. Want to know why Cedric Diggory, the "Harry Potter" character portrayed by "Twilight" star Robert Pattinson, is randomly topping Twitter's Trending Topics list? Good luck. While it's a safe bet it has something to do with the never-ending clash of the titan fandoms, clicking the actual TT link is likely to lead to a long list of others asking, "Why is Cedric Diggory trending?" 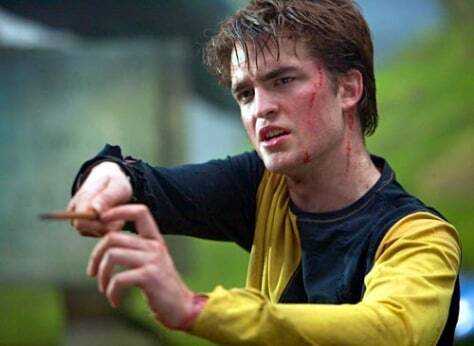 or exclaiming, "OMG, Cedric Diggory is trending!!!!" or stating, "I hate wizard, vampires and wizards who turn into vampires and then trend, like Cedric Diggory." Sometimes the TT rundown is informative ("Bill Cosby's dead?") and sometimes it's interesting ("Bill Cosby's not dead"). But every now and then the trend isn't so clear. Eventually the only answer anyone can get without sifting through thousands of tweets is that Cedric Diggory is trending because Cedric Diggory is trending. Stop the madness. Alas, there is no known spell for decoding Trending Topics. 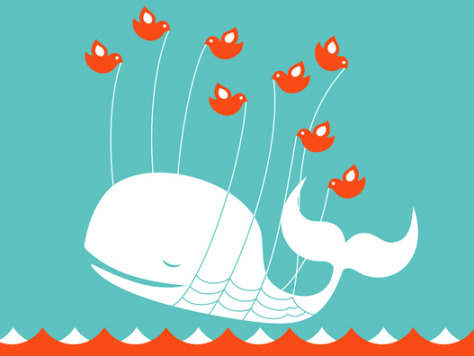 Every time you abuse hashtags, you make the Fail Whale cry. Hashtags (or #) are the context-adding reference points that tie an individual's tweets to the larger community. That’s the idea. Every now and then they’re just the punchline that ends an otherwise boring entry: "Ow! My stomach! #chipotlesrevengeistotallyworthit." Not that there’s anything wrong with that. Unfortunately, hashtags are also an easily exploitable tool for the attention-hungry types to gain visibility with their hashtag-as-spam approach. This usually involves tagging virtually each word in a post individually, or even worse, weaving a string of unrelated hashtags from the Trending Topics list to a single tweet. It's a sleazy ploy that gets attention. What it doesn't get is followers. Stop retweeting everything Roger Ebert types. 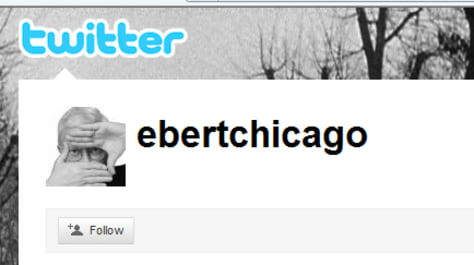 Nothing against Ebert, he’s a one-man bon mot machine, but we (i.e. the rest of Twitter) are already following him. Same goes for Wil Wheaton and the Dalai Lama — we’ve got it covered. Reading the same tweet twice is aggravating. Reading it 10 times is Twitter torture. It’s also unnecessary. If frequent re-tweeters clicked the ever-so-efficient and auto-filtering retweet button, rather than employing the old school copy-and-paste option, feeds wouldn’t overflow with the same old chestnuts again and again. You know what's hilarious? That thing you did that one time with your pal. You know who else thinks that's hilarious? Your pal. Once you vaguely reference it on Twitter, it becomes an irritating inside joke the rest of us are witnessing from the outside. "LOL! Guess who’s still at it?" Who? At what? Why is it laugh-out-loud amusing? And more importantly, why am I reading about it if I don't know these things? Inside jokes (along with Twitter-flirting, secrets and TMI): the reason direct messages were created. Demi Moore reportedly uses blood-sucking leeches to optimize her health. It's never a good idea to get one's health tips from random, unqualified sources, and it's even a worse idea to play the part of Dr. Internet yourself. Unless you're an actual doctor, nutritionist, or Demi Moore, tweeting the path to better physical being is inappropriate. Hey, wait a minute! Yes, like many celebs and even a few everyday know-it-alls, Moore feels she's well-suited to dish out good-for-you "detox" details. When fans recently cautioned the actress about "suffering to stay" gorgeous by going on the Master Cleanse lemonade diet, Moore shot back, "this is about health!!!" Apparently Moore could only suffer through four days of "health," as she later told another fan, before switching (and linking) to a pricy new approach. For every rule, there's the exception that proves it. 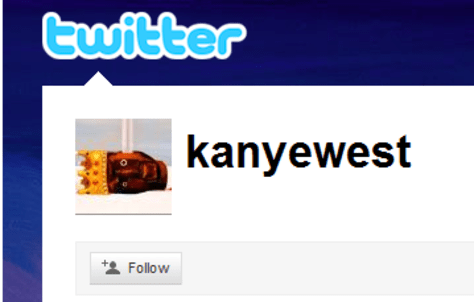 One-time Twitter hater and now power-posting newbie Kanye West proves them all. West teams his enthusiasm for the medium with his ego of magnificent proportions and comes away as the man who can post no wrong. Mundane, multi-part tweets paired with superfluous hashtags and a hefty dose of exclamation marks work for West (who, it seems, "might be having the best weekever!!!!!!!!!!!!!!!!!!" Just as important as knowing the rules is knowing when to break them. Ree Hines freely admits she’s a frequent Twitter sinner. Follow @ReeHines and behold as she fails to follow her own advice.